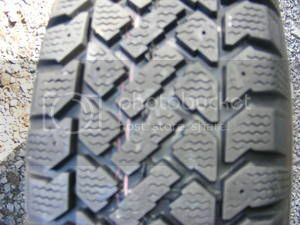 1) Symmetrical Non-directional tread: if you turn the tire 180 degrees, the tread pattern will look exactly the same. It doesn't matter which way you mount the tire and which corner of the car you put the wheel, and you can do a regular cross-over tire rotation. 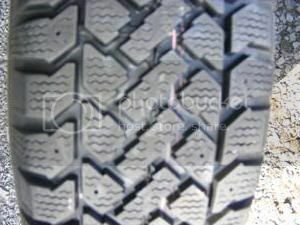 2) Symmetrical Directional tread: if you turn the tire 180 degrees, the tread pattern reverses direction. Symmetrical directional tires usually have an arrow indicating the direction of rotation. If it doesn't but has a V-shaped tread that changes direction when you turn it 180, mount so that the point of the V points in the direction of rotation. 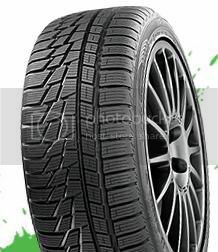 These tires are side-specific: you can only do a tire rotation front-to-back and can't cross-over unless you unmount/remount the tire. 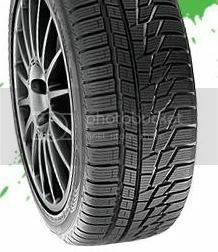 3) Asymmetrical Non-directional tread: the tread is specifically designed so that one side is meant as the outside shoulder, the other the inside shoulder, and it doesn't matter what direction the tires turn. The tire usually says "outside" or "inside" or both to let the mounter know which way to mount with the proper shoulder on the proper side, but then you can put the wheel on any corner of the car, and do a regular cross-over tire rotation.